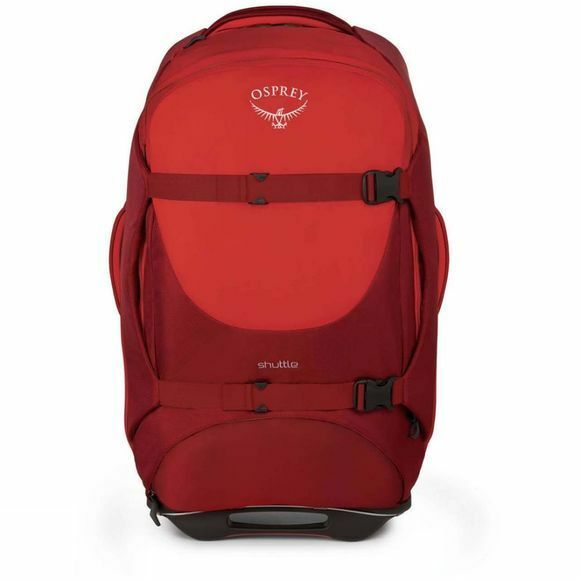 The Shuttle 100 from Osprey will swallow all the kit you need and more for whatever trip you have planned. Whether its used as the family case for two weeks of sunshine or your own case for a round the world adventure the Shuttle will keep your kit secure, organised and protected from the bumps along the way. The HighRoad Chassis will provide a strong and reliable wheeling service to take the weight of your gear across a multitude of terrains while three padded grab handles offer a quick and comfy solution when you're battling crowds at baggage claims and bus stations. The retractable ErgoGrip handle ensures that you can roll with complete ease and control over your gear. Inside the travel bag you will discover a multitude of organization options; including a liquid/accessory pocket and dual mesh pockets to separate dirty clothes and shoes. For the ultimate in gear protection, the Shuttle spreads its foam StraightJacket side-wings around the bag to compress and protect your belongings. 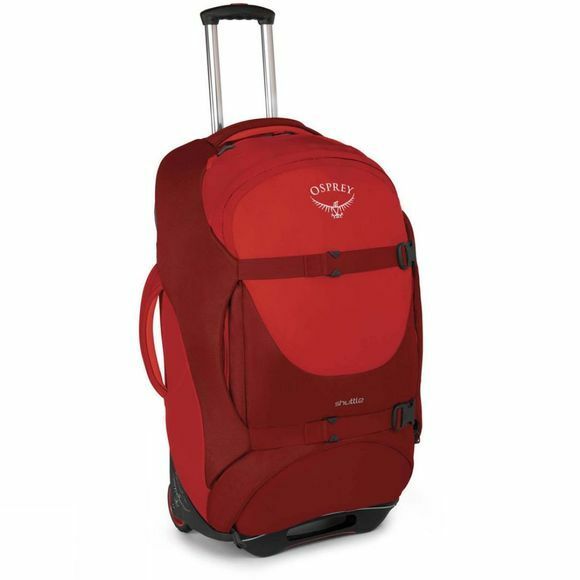 These wings cleverly wrap from one side of the travel pack to the other when you’re hauling less gear than usual to keep everything secure and in place. The internal compression straps allow you to fully maximise capacity whilst securing your clothes and limiting creases. It also features an ingenious base compartment that not only has its own zip access, but also features a flexible divider, allowing you to increase space for dirty laundry as you progress through your travels. Should the worst happen and your luggage gets lost, to ensure you and your bag aren’t separated for long there is a built-in retractable ID card. For extra security, the Shuttle travel pack features a lockable zip on the main compartment. Time to spread your wings and load up the Shuttle as your next adventure is waiting.